Is mostly just a hill of beans. A ruthless stone. An asphalt pit. A rusty tin of smoked sardines. A satellite that won’t transmit. Then suddenly a swirling dune. A camel train. A rug bazaar. Grilled lamb kebab. The desert moon. Embers. It’s what most pencils are. © Robert Weinstock. All rights reserved. Robert Weinstock is one of those double-threat type o' writer-illustrator folks who just kinda awe me. I mean, really - they can do all that? That extra level of talent also leads to interesting situations. For example, I read the above poem as a writer, thinking of the places my pencil takes me, but he was thinking of the pencils he draws with. Even though it doesn't matter, I was left thinking that "Then suddenly a stick figure that almost resembles a person" would be my verse. Really not so fun. 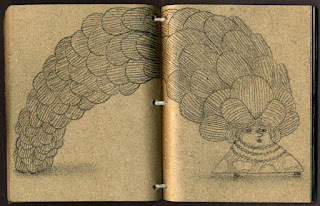 However, for some fun, Robert sent along some sketches from his notebook so we can all see where his pencil takes him. Color me jealous! Moving on from my petty issues... 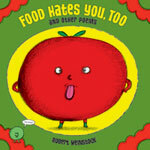 I am a particularly big fan of Food Hates You, Too (which he wrote and illustrated). The poems in the book are incredibly clever, bringing all sorts of food to life in a way I instantly responded to. And just look at that cover! I love poets who help me see the world the way they see it. That's something that Robert Weinstock does so well in everything I've read of his to date, and that's one reason why I'm so happy to have him here today as part of 30 Poets/30 Days. Yesterday gave us Margarita Engle and Chocho Seeds. Tomorrow... Kate Coombs and Mud! For more on 30 Poets/30 Days and ways to follow along, please click here. I read this as a writer, too, at first - and thought, "Embers - when the story has burned down to coals." But, I also like to think of it from an illustrator's point of view. There is such wacky beauty and glorious life in Weinstock's work! I love this poem - it's a keeper. Thank you to both of you for this inspiring post. a. Wonderful poem! I envy Robert because he can write AND illustrate! 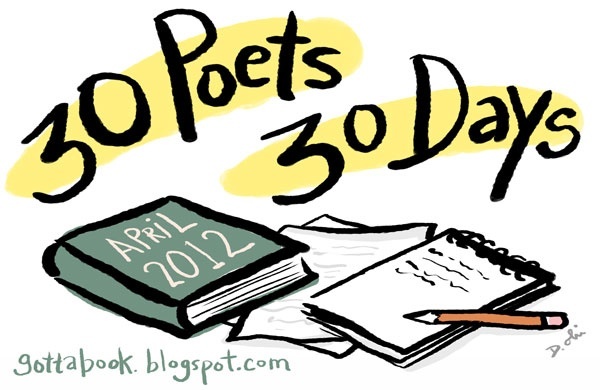 If there's a theme at 30/30 this month it's once again the imagery every children's poet puts forth! Wow. Beautiful images that I too thought were writing related, & perhaps they are, serving as muses. Thanks Greg. 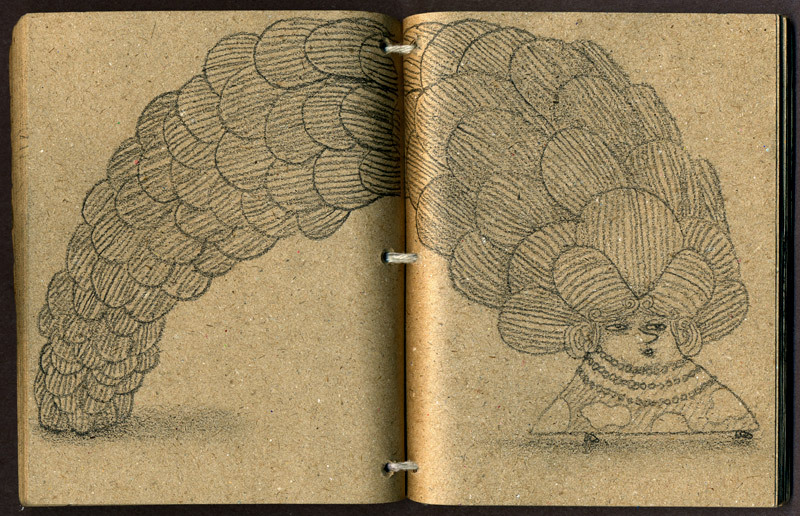 Great illustration and poem, what wonderful images in my head, too!